Women from throughout Mayo, participating on the MIA Women's Business Programme came together on 19 December last to meet with other successful Women Enterpreneurs and hear first hand their experience and advice for people starting up businesses. Vivienne Kyne from 21st Century and Elżbieta Ella Szczerbakfrom from 'The Mood Gallery' Castlebar shared their experiences, providing invaluable advice and inspiration to the women in attendance. The GROW programme: growing real opportunities for women is an EU funded programme run by Mayo Intercultural Action, providing supports for women to set up their own businesses. 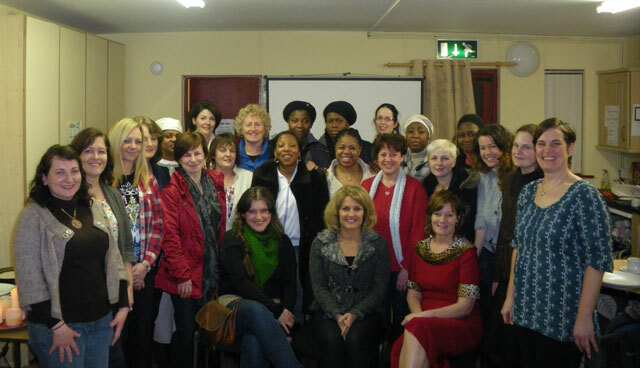 Women from throughout Mayo availing of training, mentoring and advice to support them to develop successful enterprises. "Many thanks to Vivienne, Rita and Elzbieta for taking time out of their busy schedules and sharing their experiences with us. For many, setting up your own business can be a daunting experience and I've no doubt that the practical advice and encouragement from role models like Vivienne, Rita and Elzbieta, will give this group of women the confidence and motivation to develop highly successful businesses of their own."